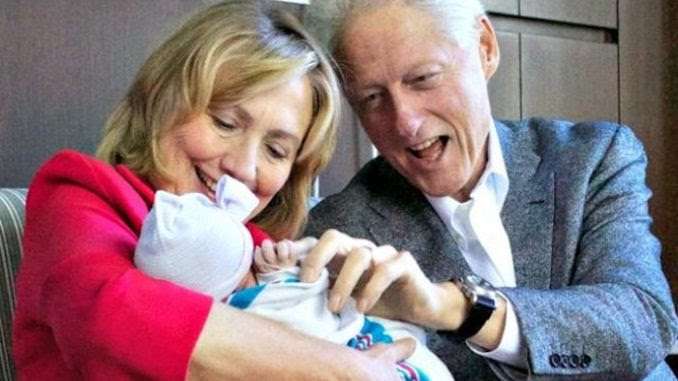 Hillary Clinton has announced plans to help New York Gov Andrew Cuomo legalize abortions up until the time of birth. On Sunday, she revealed that she will use her “influence” and “power” to help Cuomo pass a new progressive abortion law. Lifenews.com reports: Cuomo made no secret of his plans to ram the pro-abortion bill through the state legislature. He said he wants to see it pass within 30 days. Pro-abortion lawmakers in New York have been trying to pass the radical pro-abortion Reproductive Health Act for years. Already one of the most pro-abortion states in America, New York would be made even more pro-abortion if the legislation passes. The bill would allow abortions on viable, late-term unborn babies for any “health” reason and would keep abortion on demand legal in the state if the U.S. Supreme Court overturns Roe v. Wade. The Times Union reports the bill would end a decades-old law that would criminalize late-term abortions if Roe is overturned and replace it with new language allowing abortion on demand. State Sen. Liz Krueger, D-Manhattan, is the sponsor. “It would proclaim abortion as a fundamental right and impose an extreme abortion agenda on all New Yorkers,” according to New York State Right to Life. The legislation passed the Assembly but was blocked by the Senate Health Committee before it got to the floor for a vote last year. With the retirement of Supreme Court Justice Anthony Kennedy and the controversial appointment of conservative Justice Brett Kavanaugh, Democrats like Cuomo and Clinton fear the Supreme Court could repeal Roe v. Wade. They’re pushing, as New York’s legislature convenes on Jan. 9, to make sure the ruling is state law. Additionally, the bill says the state cannot “deny, regulate or restrict” abortion, not even for common-sense reasons such as parental consent for minors, informed consent or limits on taxpayer-funded abortions. Pro-life groups fear for medical workers’ rights as well. According to New York RTL, the bill does not provide conscience protections for religious hospitals or insurance companies, and medical workers could be forced to refer women for abortions. Cuomo and Clinton both advocate for abortion on demand. During her failed 2016 presidential campaign, Clinton not only pushed for abortion to be legal for any reason up to birth but also for taxpayer-funded abortions.